The UNGA condemns the Iranian regime’s human rights violations for the 65th time. What makes it significant? Nov. 17, 2018 - On Thursday, the UN General Assembly’s 3rd committee adopted a draft resolution that condemns the Iranian regime for its blatant human rights violations. This is the 65th time that the Iranian regime is being called off for its abysmal human rights record at the international level. The resolution, which was introduced by Canada, was adopted by the committee with 85 positive votes against 30 negative votes. 68 countries abstained from voting on the resolution. The draft will be put to the general vote in the UNGA in December. The UNGA resolution also stresses that the Iranian regime does not adhere to international judiciary and human rights norms. A similar resolution put to vote last year brought in 81 positive votes against 30 negative votes. Therefore, this year, four more states joined the ranks of countries that are explicit about their discontent about the human rights situation in Iran. Another significant change in this year’s lineup was that the Iranian regime lost some of its traditional allies in the United Nations. Brazil and Mexico, states that usually voted negative on UN resolutions against Iran’s human rights violations, abstained in their vote year, distancing themselves from the increasingly isolated regime of Tehran. In September, Javaid Rahman, the UN Special Rapporteur on the Human Rights situation in Iran, presented his report on Iran’s human rights situation to the UN, in which he expressed concern about continued abuses by the Iranian regime. The draft resolution adopted on Thursday is mostly in reference to Rahman’s report, a fact that has caused worries for the mullahs ruling Iran. Earlier, in his yearly report, UN Secretary-General Antonio Gutierrez expressed concern over the deteriorating human rights situation in Iran. The mullahs were deeply irked by Guttierrez’s remarks and engaged in a series of propaganda against the UN authority.  In reaction to Thursday’s resolution, Bahram Ghassemi, the spokesperson for the Iranian regime’s foreign ministry, called it unacceptable and stressed that the Islamic Republic is based on “republicanism” and is against “any kind of discrimination or politicization of human rights.” He categorically refrained from addressing any of the issues raised in the resolution.